Silicon Valley is the center of American technological innovation and business, home to major technology corporations such as Google, Apple, Hewlett-Packard, and Tesla. The region earned its common nickname in the 1970s, referring to silicon chips used within its computer semiconductor industry. 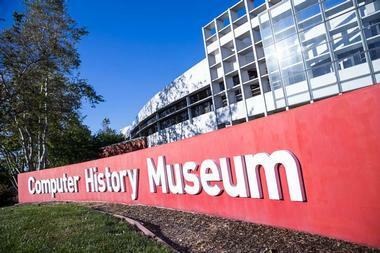 It is anchored around major urban areas such as San Jose, Santa Clara, and Palo Alto, which offer tech-centric museums such as the Computer History Museum, the Intel Museum, and the Tech Museum of Innovation. San Jose Museum of Art is Santa Clara County's premiere modern art museum, showcasing a permanent collection of 20th and 21st century works focusing on the works of West Coast and Pacific Rim artists. The museum is housed within a California Historic Landmark building that was originally constructed as the San Jose post office in 1892 by architect Willoughby J. Edbrooke. Additional collections are showcased in the museum's New Wing, which was added to the facility in 1991. Rotating exhibitions showcase pieces from the museum's 2,000-piece collection, which span a variety of media types and feature artists such as Dale Chihuly, Wayne Thiebaud, Deborah Butterfield, and Manuel Ocampo. The museum is the region's largest arts education provider, offering curriculum-incorporated tours for school groups and a variety of art-focused workshop and in-school programming. History San José is an indoor-outdoor history park in San Jose that strives to preserve the cultural and social history of the Santa Clara Valley through a variety of living history exhibits and educational programming. The park is located at the southern end of Kelley Park and showcases more than 30 replica homes and businesses from the turn of the 20th century, complete with paved streets and running trolleys for guest transportation. Landmarks displayed at the park include O'Brien's Ice Cream Parlor and Candy Shop, which recreates the West Coast's first ice cream and soda parlor and serves local Treat Ice Cream, with docent-led tours available for small groups and organizations by request. 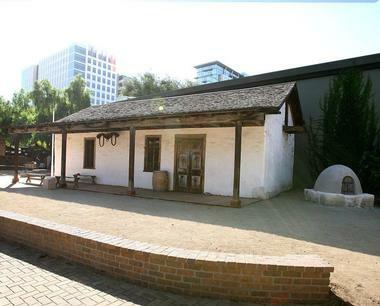 The Peralta Adobe historic site is located 4 miles away in Downtown San José and serves thousands of children every year through History San José's public school programs. History San José and local partners offer cultural programming and festivals year-round. Baylands Nature Preserve, commonly referred to as the Palo Alto Baylands Nature Preserve, is the San Francisco Bay's largest remaining tract of undeveloped marshland, spanning more than 1,900 acres throughout the Palo Alto and East Palo Alto regions. The preserve is owned and operated by the City of Palo Alto and is known as one of the American West Coast's best spots for migratory bird watching. It is home to the Lucy Evans Baylands Nature Interpretive Center, which is named in honor of one of the preserve's most noted activists and offers nature exhibits and a quarter-mile public boardwalk. 15 miles of multi-use trails are offered throughout the preserve, allowing visitors to explore the park's tidal and freshwater habitats. California's Great America is a 100-acre theme park in Santa Clara that offers a wide variety of high, mild, and family thrill rides. The park was originally opened by hotelier Marriott Corporation in 1976 and was subsequently operated by Paramount Parks throughout the 1990s before its purchase by Cedar Point operators Cedar Fair. It is best known as the home of Northern California's tallest and fastest wooden coaster, Gold Striker, which has been honored as one of the world's top 10 wooden coasters by Amusement Today's Golden Ticket Awards. Other coasters include the Flight Deck suspended coaster, the Patriot floorless coaster, and the new RailBlazer single-rail coaster. 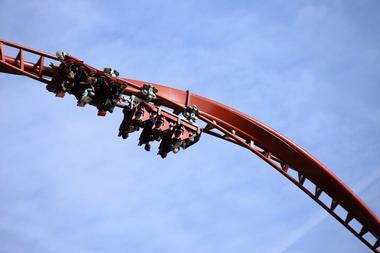 Thrill rides include the park's Delirium pendulum ride and 225-foot Drop Tower, while family rides include the park's iconic 200-foot Star Tower observation tower. Admission to the park's water park, Boomerang Bay, is also included in standard admission tickets. 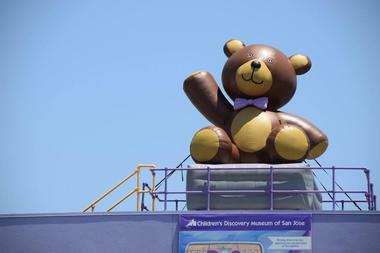 The Children's Discovery Museum of San Jose was opened to the public in June of 1990 in downtown San Jose along Woz Way , which is named in honor of Apple co-founder Steve Wozniak, one of the museum's primary donors. It is housed within a 52,000-square foot building constructed by Mexico City-based architect Ricardo Legorreta and serves as a family educational and discovery center for preschool and elementary-aged children. The museum has been the recipient of a number of national children's museum awards, including an Excellence in Exhibitions honor from the American Association of Museums. Exhibits focus on science, arts, and civics topics such as water, bubbles, fossils, and architecture, with interactive theater and farmer's market exhibits that allow young visitors to role play. 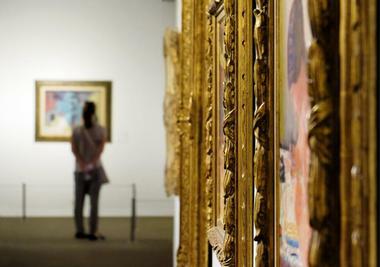 An art gallery is also offered, along with a variety of changing exhibitions in the museum's west wing. Arizona Garden, commonly known as the Arizona Cactus Garden, is a 30,000-square-foot botanical garden that is located within the campus of famed California college Stanford University. The garden was originally planted between 1880 and 1883 by landscape architect Rudolph Ulrich as a present to Jane and Leland Stanford, planned as a landscape addition to their personal residence. Though the couple's estate was never built, the garden was maintained throughout the early 20th century before falling into disrepair. Beginning in 1997, the garden was restored by university staff and volunteers, now open to the public daily as a free visitor attraction. 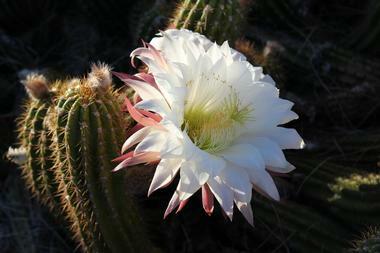 Significant plantings of cacti and succulents are showcased, including plantings of aloe, agave, and crassula plants. The Computer History Museum is a Mountain View museum that preserves the history of the information age, presenting a variety of artifacts and recounted histories related to the computer industry and its impact on broader society. The museum began out of a 1970s Whirlwind computer preservation project by Gordon Bell and operated for several decades in Massachusetts before merging with the artifacts of the TCM History Center and moving to Silicon Valley in 2002. Today, it offers a wide variety of exhibits on early computing history and houses what is reported to be the largest collection of computing artifacts in the world, including the Cray-1 supercomputer, the 1969 Neiman Marcus Kitchen Computer, and an Apple I. More than 700 video interviews are also contained within the museum's oral history collection. Edgewood Park and Natural Preserve is a 467-acre preserve located in San Mateo County, known for its beautiful displays of spring wildflowers. 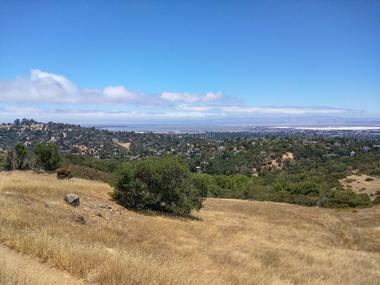 The park is located on formerly developed lands that were acquired by San Mateo County in 1979 for the purposes of constructing an 18-hole golf course, but as a result of environmental concerns related to the project, two-thirds of the purchased lands were set aside for the development of a natural preserve area. 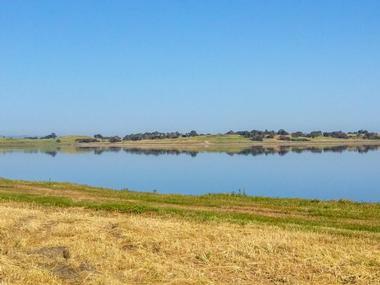 In 1993, the golf course project was scrapped and the entire park lands were set aside for preservation. Today, it receives more than 50,000 annual visitors, offering hiking and wildlife watching opportunities throughout its grassland, chaparral, woodland, and wetland ecosystems. Emma Prusch Farm Park is a 43.5-acre public park located in East San Jose that showcases the former farm property of San Jose resident Emma Prusch, who donated her land to the city in 1962. 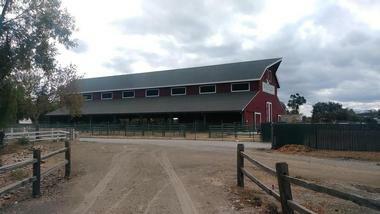 The park is intended to preserve the region's agricultural history and showcases the city's largest preserved freestanding barn, which is used by the Future Farmers of America and the city's 4-H groups for urban livestock raising. It also preserves a rare fruit orchard, which is operated as a cooperative project by the California Rare Fruit Growers Association, showcasing more than 125 species of rare and exotic fruit trees, including subtropical plantings. The park's Veggielution community farm spans approximately six acres and is staffed by youth and adult volunteers, who strive to create a sustainable urban food solution for the city. Several acres of open grassland are also offered, along with demonstration gardens and picnic areas. 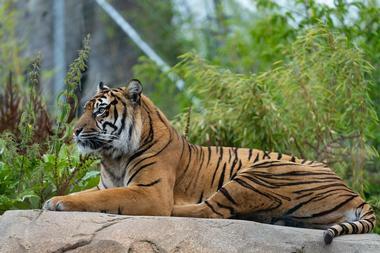 Happy Hollow Park and Zoo is a 16-acre zoological park in San Jose that was originally opened to the public in 1961. Today, it is an Association of Zoos and Aquariums accredited facility and a member facility of the International Association of Amusement Parks and Attractions. Park animal exhibits are structured to incorporate as much free roaming for animals as possible, with areas to allow animals to go off exhibit for break times. Exhibits include a lemur woods exhibit, a fossa exhibit, the recently-renovated vintage Crooked House, and an Animal Barn playplace and petting zoo. An animal hospital is also showcased on site, along with a Learning L.O.D.G.E. educational center and an outdoor Redwood Lookout children's playground. A variety of children's and family rides are offered at the park, including a family roller coaster and a carousel showcasing endangered species. San Jose Heritage Rose Garden is a volunteer-maintained rose garden that is supported by the City of San Jose, showcasing more varieties of rose species than any other similar garden within the Western Hemisphere. The garden was originally established in 1995 through the efforts of various community groups and is open to the public for free daily between dawn and dusk. 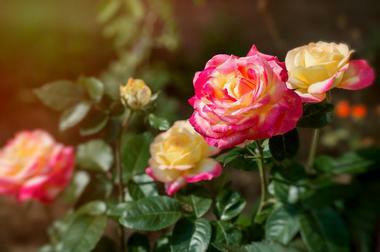 It displays more than 2,600 varieties of roses, including heritage, tea, and modern varieties. Collections are arranged into displays of old garden roses, hybrids, exotic varieties, floribundas, and shrubs and present more than 3,600 individual plantings. Docent-led tours are available for small groups and organizations by request. Volunteer evening garden care sessions are also open to the public throughout the summer every second Tuesday between June and September. The Hiller Aviation Museum is a San Carlos aircraft and aviation history museum, located at the city's San Carlos Airport. It was originally founded in 1998 by helicopter designer Stanley Hiller and is intended to focus specifically on the history of aviation and helicopters in Northern California. More than 50 aircraft are displayed in exhibits throughout the Smithsonian-affiliated museum, including the experimental Hiller Flying Platform single-passenger hovercraft and a replica of the Hiller XH-44, the United States' first coaxial helicopter. 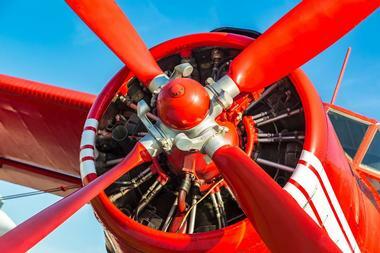 Exhibits showcased at the museum include a Beginnings of Flight aviation history exhibit, which allows visitors to fly a simulation of a Wright Model B aircraft, and a Women in Aviation exhibit, which tells the stories of 29 female pilots from around the world. Docent-led tours of the museum are available with advance reservation for small groups and organizations. The Intel Museum is the official museum facility of computer giant Intel, located at the company's headquarters in Santa Clara. The museum began collecting artifacts in the early 1980s as an internal cataloguing operation at the company, but did not officially open as a public museum until 1992. In 1999, the museum's size was tripled to showcase a wide variety of exhibits and artifacts related to the history of the company and the history and development of semiconductor technology. Today, the 10,000-square-foot museum is open to the public Mondays through Saturdays and offers free admission, showcasing artifacts such as fully-functional replicas of Intel CPU technology throughout the years. Exhibits include Journey Through Decades of Innovation, which details significant innovations throughout the company's history, and How Intel Makes Chips, which highlights the company's fabrication process. The Iris and B. Gerald Cantor Center for Visual Arts is Stanford University's official campus art museum, originally opened to the public in 1894 as the Leland Stanford Jr. Museum, one of the first campus art museums in the country to showcase a private general art collection. Following the 1906 San Francisco earthquake, which damaged many of the museum's holdings, museum operations ceased, but in 1999, the museum was reopened in honor of donors Iris and B. Gerald Cantor. Today, it showcases more than 38,000 works from around the world from the ancient era to the present day, including significant collections of African, Oceanic and Indonesian, Native American, and Mesoamerican historic artworks. The center is also home to the largest collection of Rodin works outside of Paris' Musee Rodin, including more than 400 pieces. An adjacent facility holds the museum's Anderson Collection, which showcases post-WWII American artworks. Raging Waters San Jose is Northern California's premiere water park and family fun center, offering 23 acres of high and mild thrill water attractions for visitors of all ages, overlooking beautiful Lake Cunningham and the San Jose Foothills. The park is home to more than a million gallons of water rides and attractions, including the high-speed Bombs Away water slide, which drops riders vertically from a trap floor, and the racing speed slides White Lightning and Blue Thunder. A 350,000-gallon wave pool is also offered for milder play, along with two dedicated children's play areas with pint-sized slides, zero-depth entry zones, and waterfalls and water jet features. In-park restaurants and concession stands offer snacks and meals across a variety of cuisines and diets. Young guests wishing to celebrate their birthdays at the park can choose from a number of party packages, which include catered food and complimentary park admission. The Rosicrucian Egyptian Museum is a history and culture museum that was originally established in 1927 by the Ancient Mystical Order Rosae Crucis, a spiritual and cultural movement drawing from several world religions that originally gained prominence in 17th-century Europe. The museum draws more than 110,000 annual visitors and showcases the largest collection of ancient Egyptian artifacts on the American West Coast in a museum building located next to the organization's regional headquarters. A wide variety of exhibits showcase the customs, beliefs, and daily lives of ancient Egyptians, with special exhibits focusing on the culture's religions and famed mummification and entombment rituals for the deceased. Docent-led tours are available for small groups and organizations, including curriculum-incorporated school tours. The museum's spaces also host a variety of meditation groups and special events related to the Rosicrucian Order. Ardenwood Historic Farm is a Fremont Historic Landmark that is owned and operated by the East Bay Regional Park District as a living history attraction. The public park is anchored around the historic Patterson House estate, which was originally constructed by farm owner George Washington Patterson in 1857, named for the English forest region discussed in the Shakespeare play As You Like It. The estate and its surrounding farm were acquired by the City of Fremont in the late 20th century and opened as a public park facility in 1985. Today, the park is home to the Railroad Museum at Ardenwood, which features a miniature recreation of the city's local South Pacific Coast Railroad branch. It also hosts public special events throughout the year, including a Fourth of July celebration, a September renaissance festival, and an October harvest festival and haunted railroad event. The San Jose Museum of Quilts and Textiles is the United States' only museum that is exclusively devoted to the display of quilts and textiles as an art form, originally founded in 1977 as the American Museum of Quilts and Related Arts. In 2005, the museum relocated to San Jose's SoFA Arts District and was rebranded under its current name. Today, it showcases a permanent collection of more than 550 quilts and textiles, with an emphasis on 20th and 21st century works. Rotating special exhibits showcase quilts and fabric works from cultures around the world, including displays of cultural garments. A research library offers more than 500 volumes related to the history of quilt work and textiles. Docent-led tours are offered for school groups and organizations, with public special event programming offered periodically. The San Mateo County History Museum is a public museum in Redwood City that is housed within the former 1910 San Mateo County Courthouse. It was originally founded in 1941 by the San Mateo County Historical Association and housed within a classroom at the College of San Mateo until 1998, when it moved to its current location and opened to the public a year later. The museum strives to showcase the region's rich cultural and social heritage through a variety of permanent and temporary rotating exhibits related to topics such as the region's agriculture, economy, technology and innovation, and artwork. In addition to its main museum facility, the SMCHA also oversees several historic properties in the San Mateo County region, including Sanchez Adobe Park and the Woodside Store. Shoreline Amphitheatre is a major outdoor amphitheater in Mountain View, originally constructed by the city in in 1986 in cooperation with local designer and concert promoter Bill Graham. The amphitheater's design is constructed to evoke the logo of the Grateful Deal and was officially opened to the public in June of 1986 with performances by Julio Iglesias and Roseanne Barr. It holds seating capacity for 22,500, split between 6,500 reserved seats and space for 16,000 general admission attendees on its lawn area. A number of annual and special event music festivals are hosted at the amphitheater, including popular national tours such as the Vans Warped Tour, Lilith Fair, and Lollapalooza. Other events held at the amphitheater include the annual Google I/O developer conference. The Tech Museum of Innovation is one of the United States' premiere science, technology, and innovation museums. The museum was originally proposed in 1978 by the Junior League of Palo Alto and opened to the public as a temporary exhibit within San Jose's convention center in 1990. In 1998, it opened within a new permanent 32,000-square-foot facility in San Jose's Plaza de César Chávez. Three floors of exhibits showcase the development of information technologies throughout Silicon Valley and the world in the 20th and 21st centuries, with galleries centered on the topics of communication, innovation, exploration, and life tech. Educational films and blockbuster releases are also showcased at the Hackworth IMAX Dome Theater, Northern California's only IMAX theater. The Montalvo Arts Center is a nonprofit arts and cultural center located in Saratoga that is centered around the historic Villa Montalvo estate, originally constructed in 1914 by the family of United States Senator James Duval Phelan. The estate is named after popular 16th-century author Garci Ordonez de Montalvo, whose novels are credited with coining the word "California," and was acquired by the San Francisco Art Association in 1930 for use as a public arts center, the first of its kind in the United States to operate an artist in residency program. Art gallery exhibitions and public performances are presented at the estate today, which showcases two theaters and a full artist-in-residency complex. An arboretum, botanical gardens, and hiking trails are also offered on the estate's grounds, which connect to a nearby Audubon Society bird sanctuary at Lookout Point. Bay Area Brewery Tours was founded by former Ballast Point Brewing Company employee Mindy Eastman, who was inspired to open a craft brewery tour similar to the winery route tours of Napa and Temecula following discussions with tasting room customers. Together with her boyfriend Jon, Eastman began San Francisco's first brewery touring company, which offers public walking tours every Saturday morning to breweries throughout the city. Each tour visits three brewery tap rooms, highlighting regional favorites such as Anchor, Magnolia, Harmonic, and Triple Voodoo Brewing Companies. One brewery is toured as part of each tour, with tastings offered as part of tours at each stop. Participants should note that tours are offered rain or shine and should provide their own umbrellas and rain gear. Aqua Adventure Water Park is a water park and family fun center in Fremont that is owned and operated by the city's Parks and Recreation Department, originally commissioned in 2001 and opened to the public over Memorial Day weekend of 2009. The park is home to four major slides, including two open slides and two enclosed slides that descend from a maximum slide complex height of 40 feet. A 700-square-foot lazy river attractions also runs through the park, offering hop-on-hop-off access to park attractions, and a family-friendly splash zone offers a variety of water spray and jet attractions. The park's 25-yard Oasis Pool is used as a swimming pool and exercise venue, providing zero depth entry at its shallow end. Locker rooms are available for patron use, while concession stands and picnic areas provide opportunities for meals within the park.